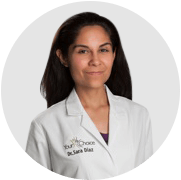 Dr Sara D. Garduño-Diaz, the co-creator of Your Choice Nutrition is a doctor in Nutrition and Food Science graduated from the University of Leeds in the United Kingdom. She has worked on nutrition needs in four continents with people from diverse backgrounds. She has led pioneering studies in the field of nutrition combining the latest knowledge, motivation, mindset and awareness to empower her patients to lead healthier lifestyles. Before joining Your Choice Nutrition Dr Sara was Assistant Professor at a local private University in Kuwait, where she lectured on nutrition and biology while continuing her research on dietary patterns. Dr Sara has been part of two mayor European Union-level research projects which focused on the dietary assessment and the nutritional status evaluation of at-risk populations in several European countries. When not at the Your Choice headquarters Dr Sara enjoys energy-blasting activities like running and dancing. CHANCE research fellow (2011-2012). United Kingdom. BBSRC research award receiver (2010).United Kingdom/India. Member of Professionals in Nutrition for Exercise & Sport (2014-ongoing). USA. Member of the Academy of Nutrition and Dietetics. (2013-ongoing). USA. Reviewer for international Journals including the British Journal of Nutrition, Journal of the Academy of Nutrition and Dietetics, Global Health Action and Food & Nutrition Research. (2011- ongoing).